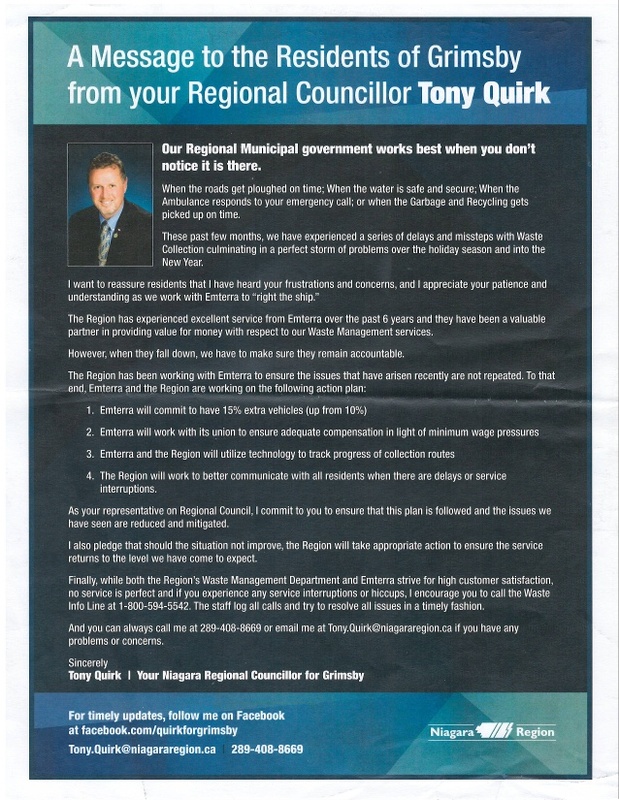 It looks like there might be trouble brewing for Grimsby Regional Councillor Tony Quirk after some publicly funded flyers appear to be an attempt to campaign on the public dime. 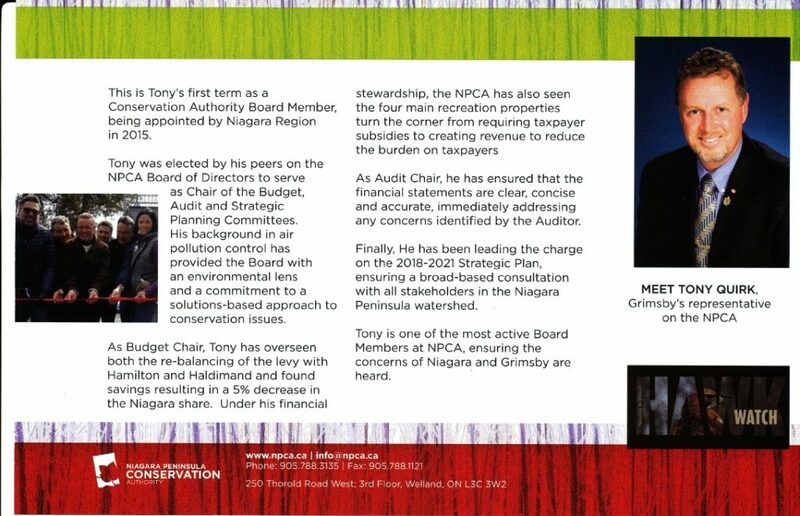 Even the CAO of the NPCA, a Board Councillor Quirk sits on, is seeking answers on this one. What do you think… appropriate or a blatant mis-use of your tax dollars for electoral purposes? Feel free to share your thoughts in the comment section below or on our Facebook post. Enter your email address to subscribe to our blog and receive notifications of new GCFRG posts by email. 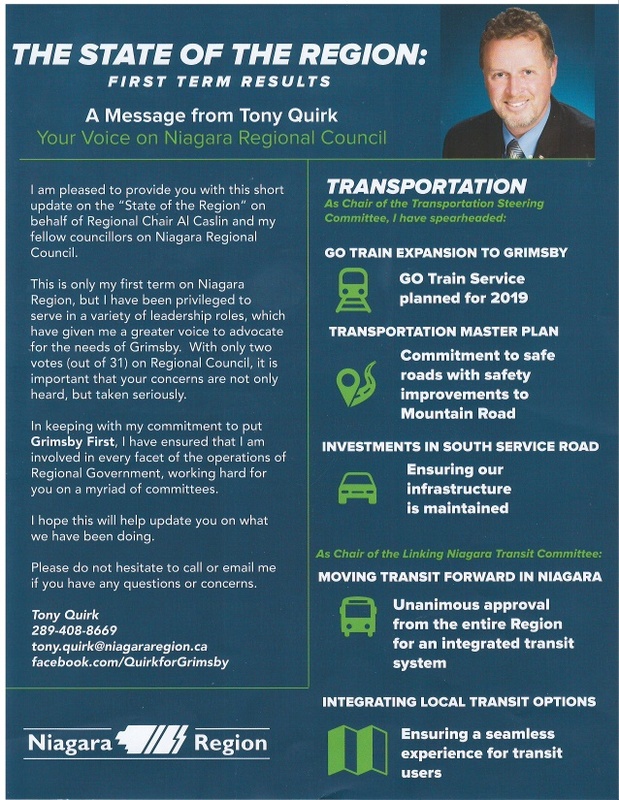 Grimsby GO Trains In 2021? – A Reality Check. 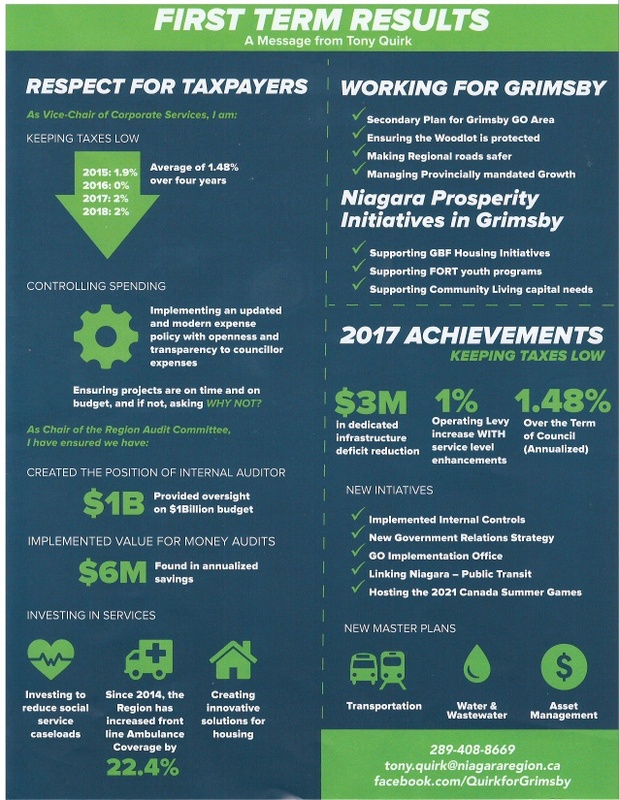 Representing the citizens of Grimsby to ensure that the Town’s planning for intensification results in responsible growth while preserving the majesty of the escarpment and natural areas, the Lake Ontario waterfront, the small town charm, character and history, and the friendly nature of its people. Bringing the citizens of Grimsby and its elected town council together to foster responsible growth and good planning to make Grimsby a leading community of modern small town living.